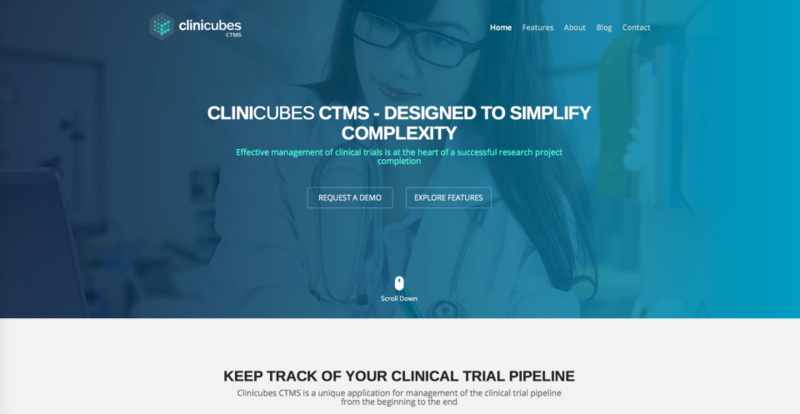 Clinicubes CTMS meets the needs of various clinical research organizations, Research Sites, CROs, SMOs, Sponsors, BioTechnology Companies, medical device companies, pharmaceutical organizations, etc. Designed and developed with the latest technologies Clinicubes CTMS is a robust cloud-based Software as a Service (SaaS) platform for managing clinical trials. Its unique architecture based on a modular system makes it 100% customizable. This ensures you can select the modules you need and remove the ones you do not in order to optimize your workflows, speed up procedures and space unnecessary expenses. Clinicubes CTMS is very easy to use and features great functionalities. Pros: What I like the most about the software solution is that it is user friendly and have great modules, including patient and study module, financial module, reporting functions, etc. It has entirely customizable structure and complies with customer's needs and not the other way around as it happens with other similar softwares. The colleagues working with Clinicubes also like the documents module, where the latest documents and updates can be uploaded and found. In general, Clinicubes has saved us a lot of time in our workflow processes and saved us a lot of money. The software is great, request a demo, try the free trial and see if it works for you! Overall: Clinicubes CTMS have saved us time, money and has streamlined our processes. It helped us move forward in our work and become twice as bigger as we were, due to the organization of workflows, better management and the cloud-based function, which allows us to check upon our processes at any moment from literally everywhere. The product also stores our entire database and helps us get decision easier with its inbuilt statistics and functions. It also helps us with invoicing and internal communication.